Get notified when El Paso Chihuahuas tickets are available! Representing El Paso, Texas, the El Paso Chihuahuas are a minor league baseball team and a Triple-A affiliate for the San Diego Padres. The El Paso Chihuahuas have had a few different homes over the years, including once being known as the Tuscon Padres. They finally moved to their current home in El Paso in 2014. The Chihuahuas play their home games at the Southwest University Park. They currently play as a part of the Pacific Coast League of the Pacific Conference in the Southern Division. 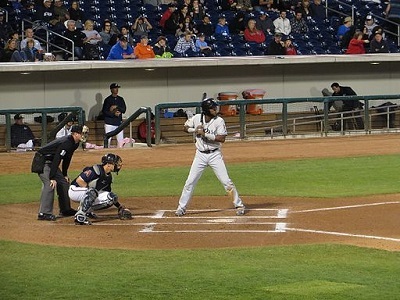 Be sure to get your El Paso Chihuahuas tickets for their next game before they sell out!